Gruet Winery in Albuquerque, New Mexico was one of our planned stops on the drive to Texas. Leaving Holbrook, Arizona we punched Gruet’s address into the GPS. A few hours later we were there and it turns out Gruet is located next door to an RV dealership. The winery has all the curb appeal that a frontage road and an RV dealership suggest. 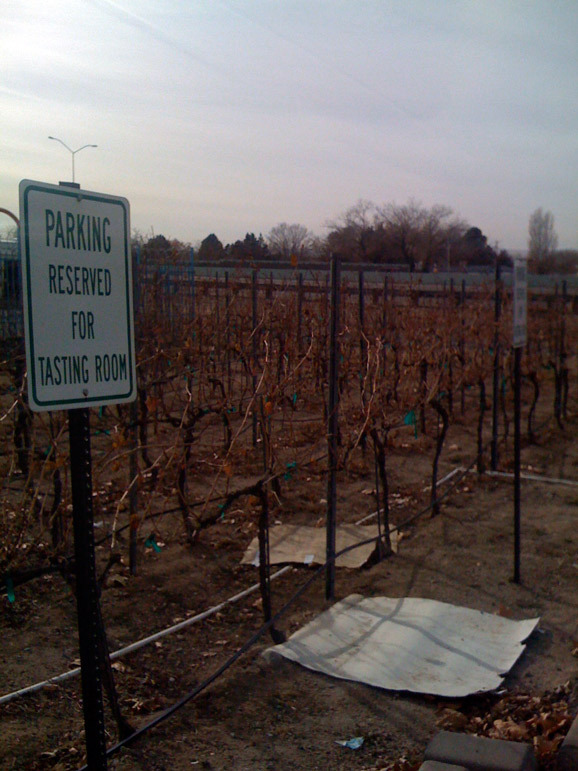 But we had heard good things about the wine and wanted to try it at the source, so we parked the car next to the, uh, vineyard and headed into the tasting room. When we walked in we were greeted with, well, nothing. When we asked if they had tastings, the woman replied only “Yeah,” and then disappeared into a back room somewhere. We waited for a while and then decided to disappear ourselves. Along with tasting, we were planning on buying a few bottles as gifts, but because the service was so cold and bad, we decided against all of it. The upside is that we both really had to pee after that long drive and their restroom was cleaner than the gas stations we were becoming accustomed to. So our review of Gruet Winery is simple: Pretty nice restroom.